Which Antenna Should I Purchase? 40 years ago when I first started sourcing radios for the mountaineering community, options were much more limited. You got a big heavy radio with no display, a steel antenna, that at best had a dial that would allow you to select from a maximum of perhaps a dozen channels. The frequency for each channel was determined by a crystal that resonated at the appropriate wave length for that channel. If you wanted a new channel, you ordered a new crystal for it. As the range of frequencies were usually targeted to one area, it was easy to tune an antenna to match that range without falling outside of the antennas capability to transmit without creating a standing wave. NiCad battery technology was one among many technological improvements that would revolutionize these radios. Fast forward to today, and we have radios that can monitor and transmit on multiply bands, talk to you, play music, easily store more than 200 channels, encode and decode codes, encrypt signals, connect to the internet or to your phone via BlueTooth, and cover at least a range of 30 mHz while being ultra light, producing a full 5 watts of power and, providing the right antenna is used, do so without creating a standing wave when they transmit. That one caveat is the reason why we've had to introduce the 'antenna packs', and why with every order, we get he question, "which antenna should we be using?". • Telescoping antennas can cover a 30 mHz spread of the band (UHF or VHF) they are intended for because you can field tune them by adjusting their length (if you know what that length should be). • Rubber Duck antennas can only cover a maximum of a 10mHz range of frequencies without the creation of an undesirable standing wave because you cannot change their length (at least not easily in the field). 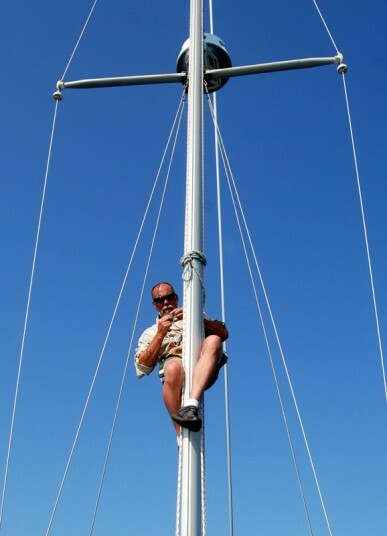 • A VHF Rubber duck will not work effectively on a UHF frequency, and vice-versa. • Dual band rubber duck OMNI antennas that supposedly will 'do everything', in fact accomplish the opposite because they simply cannot be designed to perform effectively due to the constraints imposed by the laws of physics. I love reading reviews of them where the hopeful HAM was disappointed in their performance - the equivalent of buying an eagerly anticipated Chinese moped from Kijiji and then complaining to anyone who will listen that you subsequently lost a 0-60 sprint competition with your neighbour who was riding his Yamaha crotch rocket. • 5" 1/4 wave antennas might be conveniently short, but in comparison to a properly tuned 10" 5/8 wave, beyond serving for communication amongst close proximity stations (such as a landing helicopter) their performance could best be summed up as 'hopeless'. • Look at the frequencies you plan to use. It's the Transmit one that is important, more so than the receive side which does not have the standing wave to worry about. Match the antenna that is closest to it within 5 mHz. Let's say your Tx frequency is 166.050. You would then purchase a 165 antenna. As each antenna has a 5 mHz spread on each side you could also use a 170 antenna but it would not perform as well as the 165 which is closer to 166 than 170 is. 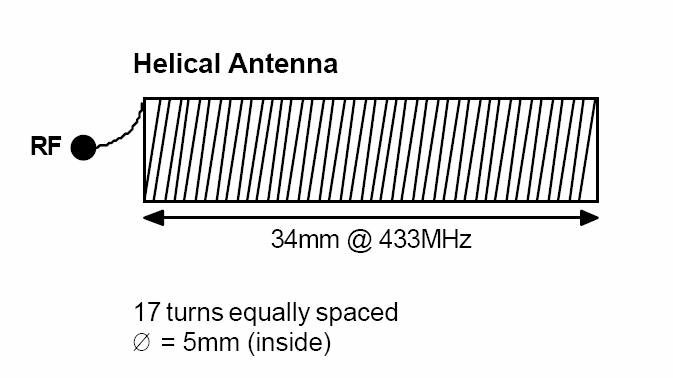 A 165 antenna covers the range of 160-170 mHz. If a factory supplied 1/4 wave antennas comes with the radio it is usually tuned for about 158-162, but it is not nearly as able to achieve long range propagation as the 5/8 wave Smiley Search and Rescue antennas. Hence the reason that 1/4 wave antennas should only be used for short range 'close in' communications. Professional Mountain Guides typically have up to 4 antennas (3 VHF, 1 UHF), plus a 'Rat Tail', in their Quiver. The typical HT antenna doesn’t deliver any gain. What? How come almost every manufacturer claim they do? First of all, manufacturers measure the gain of their antennas in dBi, which means that they compare it to an isotropic radiator. This is a more of a theoretical antenna than anything else. Such an antenna radiates (wastes) its energy into every direction: left, right, up, down and every direction in between. For some frequencies even a paper clip would deliver more gain than an isotropic radiator (but our Rat Tail works better). If you see something like 2.15 dBi, you’ll know that you’re being conned. Ham radio operators measure gain in dBd. This measurement compares an antenna to a 75Ω half-wave dipole, or a 50Ω 1/4 wave ground plane. These antennas deliver a gain of exactly 0 (zero) dB. The approximate length of a 1/4 wave antenna, measured in centimeters, is easy to calculate: divide the wavelength by 4. So, an antenna for 2 meters would be about 50cm in length. If you look at the stock antennas which come with dual-band HT’s, you will notice that none of them are 50 centimeters long. They’re much shorter! Yet they are a 1/4 wave or 1/2 wave in length, depending on the frequency. This is done by coiling up the necessary length of wire around a non-conducting core. This has two advantages: the antenna can be shorter and sturdier. Unfortunately there’s no such thing as a free lunch. By coiling up the antenna wire, the efficiency of the radiating element decreases considerably. So we learned that gain should be measured in dBd, not dBi. If we do that, the average dual-band helical antenna delivers a gain of minus 5 – 6 dBd on 2 meters, and something in the range of minus 3 dBd on 70 centimeters. 6dB or 3dB doesn’t sound like much, but don’t be fooled. -3dB will set you back by a factor of 2, and -6dB by a factor or 4. A Baofeng UV-5R is capable of delivering 4 Watts on 2 meters. But the stock antenna will eat up most of that power, radiating only 1 Watt into the air. Bummer, huh? Single-band antennas always outperform dual- or triple band antennas. More bands = more compromises. Sometimes it’s easy to make an antenna perfectly suitable for 2 bands, such as 4 meters and 2 meters. In this example the 1/4 wave for the 4 meter band will be a near-perfect 1/2 wave for 2 meters. It becomes trickier when you combine 2 meters and 70cm. In most cases antenna designers have to revert to ‘traps‘ in order to keep the SWR on both bands within reasonable limits. This system works well, but will decrease the efficiency of the antenna even further. All the above is why we DO NOT recommend using the antennas that ship with the dual band radios and using VHF antennas for VHF, and UHF antennas for FRS channels. Also you can see why we use a longer 5/8 wave rubber duck antenna that matches your frequency range to increase your potential dBd by improving the efficiency of the radiating element, and recommend using a Rat Tail to reduce signal loss. Antenna height. The higher, the better. Radiation pattern. Antennas should not waste energy by radiating it in unwanted / useless directions, this is why a Rat Tail is recommended. Free space loss can be partly compensated by increasing power output. Doubling the output power will not double the range, the theoretical improvement is about 35-40%. The use of repeaters at high elevations, which will compensate for the radius of the earth. Be sure to consult the base connector page before assuming that our base connectors will work on anything other than the radios we sell. In the field, do not compromise on your antenna. Ever wondered about the claims some owners make about their radios? 10, 20, 30, 40 kilometers between two handhelds? Have you heard two HAMS arguing, with one claiming a Japanese radio transmits further than a Chinese unit. Are either of those true? Probably not, and the following example will explain why. • Both radios are identical in every respect. Under these circumstances, what is the maximum range? The answer is: up to 6 Km, give or take a few meters (the exact number is 5.7 Km). The reason why the signal can’t travel any further has to do with the radius of the earth. Beyond 5.7 Km your signal will literally hit the ground. • Take the square root of the antenna height. In this case the antenna height is identical to the length of the person who is holding the radio, e.g. 1.90 meters. √1.90 = 1.378404875. • Multiply this number by 4.12. • Now you have your maximum range: 1.378404875 * 4.12 = 5.7 Kilometers. Hopefully you now also understand why more output power can’t change the final outcome. Free space loss. The signal will diminish as it spreads out. Absorption loss. Signals might pass through a medium which is not totally transparent to radio signals. Even a glass pane will do that. Diffraction. This occurs when an object blocks the path. The signal can diffract around the object, but can’t do so without losses. Terrain, composition of the ground. The terrain over which signals travel can have a negative effect on the signal, even without hills or trees. In reality you should be happy when achieving a range of 1 or 2 Km.